Growing up, Jen Miller hated running. For her, running was only ever going to be conditioning for soccer of punishment for softball. It was never going to be done by choice and it was never going to be fun. Fast forward fifteen years, though, and you can't drag Jen off the road. As the 2008 recession hit, Jen quickly found herself with a newly purchased home, a fading freelance business and an alcoholic boyfriend. To avoid slipping into an even deeper depression, she took to the streets. What started as a silly assignment (running and reporting on a 5k) soon became an obsession (running fifty+ miles a week training for marathons). Running gave Jen focus, discipline, and a way to block out negativity; it gave her the confidence that her relationships with men never had; it gave her hope and a way forward. Over the course of a few short years hundreds of miles, Jen fell in love with running, and in doing so, found a way to fall out of love with the wrong kind of men and back in love with herself. 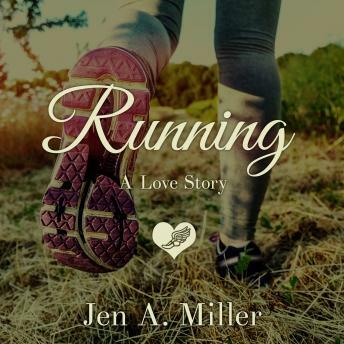 Running: A Love Story chronicles Jen's inspiring transformation. Often witty and always thoughtful, Running: A Love Story aims to examine running from a repeatedly overlooked vantage point-that of a woman shuffling in the middle of the pack, who runs not for medals but for something more.